As the most effective method for drain cleaning available in the plumbing industry, HydroScrub® is the solution you need for tough clogs and dirty drains. 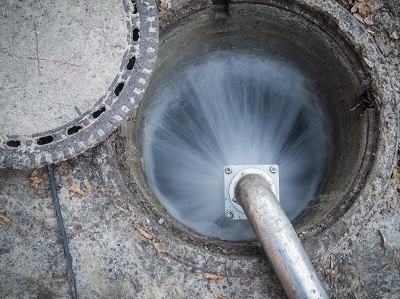 The jetting technology uses water pressure and volume to clear out clogs and debris from household pipes. Compared to conventional snaking methods, HydroScrub® is far superior and yields optimal results. It also helps ensure hair, soap residue, oil buildup, mineral deposits, and other debris are effectively removed from your pipes.